Last night, coming back "home" with aching feet, weary and longing for our bed, there had to be something really special to divert us. All of a sudden, those feet ached no more! The small vignettes within each little "room" are charming, the workmanship exquisite. 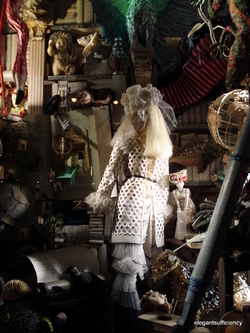 though over the road, in the windows of the Man's Store, the Fantastic Mr Fox theme attracts the children's immediate attention. But the most enduring window of all? 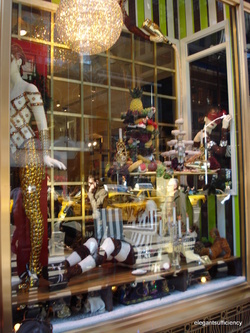 Upstairs at Henri Bendel, not Christmas windows at all. 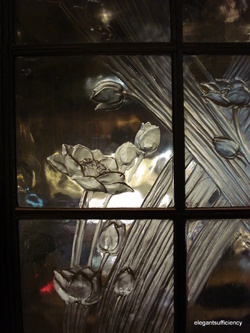 These windows were designed and made in Lalique's studio and are listed as historic treasures. 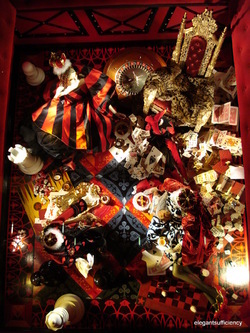 I was so busy looking at the small mice hidden away in their Christmas display, I'd have walked right past them! Thanks, Jordi, for pointing them out to me. Oh, and here are the mice!